Blockchain technology is an application of a decentralised and cryptographically secured distributed ledger technology, operating on a peer-to-peer basis. Basically, a database is shared between the (private or public) network of participants, in either a centralised or decentralised fashion. Each participant can have a true copy of the distributed ledger and each transaction is encrypted and validated by the network in inalterable blocks. Transactions are validated by an electronic signature between participants which are themselves parties to a smart contract. In layman's terms, Blockchain is a shared database where modifications are combined in related encrypted blocks which are created by transactions and validated by an electronic signature. Cryptocurrency or virtual currency, such as Bitcoin, is an application of blockchain technology, whereby a limited number of coins or tokens are issued by a company, each having a value recognised by the circle of users. Today, only Bitcoins are convertible into 'normal' currency or fiat currency. On a legal standpoint, virtual currency is an exchangeable asset granting ownership to the underlying rights specific to each of them and which have many kinds of uses. They are not necessarily and always considered as securities. There is no unified legislation of virtual currencies. The first definitions were given in 2012 by the European Central Bank and in 2013, by the US Financial Crimes Enforcement Network. Both consider that virtual currency an asset which cannot be considered as 'real' currency. Such regulations agree to indicate that such an asset is highly unsecure given the absence of specific regulation and fall within the scope of anti-money laundering regulations. That is pretty much what the EU and US legislators agree on. The rest of the world is split into countries who accept the dealing in virtual currency, countries who have banned it and countries where dealings in virtual currency are authorised depending on their nature. There are no national regulations pertaining to smart contracts, perhaps because of the existence of a difference in views between law practitioners and computer scientists. Legal specialists would consider a smart contract as a legally-binding digitalised agreement containing and executing automatically traditional contractual provisions. The human intervention is consequently reduced to merely validating certain simple data. However, computer engineers consider smart contracts as an automatised programme with pre-selected actions, regardless of their legal binding nature or of any other ancillary contractual provision. The impact of such definition is important in certain cases such as transactions in securities, loan agreements or even marriage agreements, where parties would eventually find themselves contractually bound without having initially gained each other's trust for instance, without negotiation or the interference of any governmental authority. Their relationship is created and protected by the blockchain system and not by a traditional institution. Clearly on this point, the legal community has a lot of work on in order to define new criteria and protective regulations. Like in the most parts of the world, the impact and legal apprehension of cryptocurrencies in the UAE is still at the outset. On one hand, the Central Bank of the UAE's Regulatory Framework for Stored Values and Electronic Payment Systems indicates very clearly that "all virtual currencies [and any transactions thereof] are prohibited". On the other hand, the UAE and Saudi Arabia have recently made public their plans to implement their own cryptocurrency to be used and regulated in the region. In September 2017, the Dubai Financial Services Authority has issued in a statement addressed to the Dubai International Financial Centre's investors that it did not "regulate these types of product offerings [cryptocurrencies]" whilst declaring them to be "high-risk investments". Today in the UAE, there is no clear vision on this phenomenon. And it is a mere question of definition. 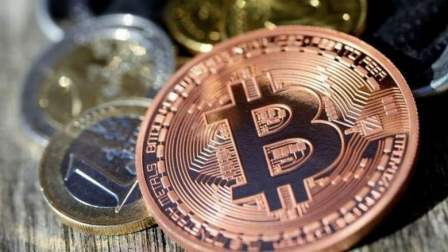 UAE central bank governor Mubarak Rashid Khamis Al Mansouri indicated that "these regulations do not cover 'virtual currency', which is defined as any type of digital unit used as a medium of exchange, a unit of account, or a form of stored value. In this context, these regulations do not apply to bitcoin or other cryptocurrencies, currency exchanges, or underlying technology such as blockchain". Some share the views that clarifications do not have legal value, even if the idea of welcoming cryptocurrency business in the UAE must be encouraged if organised. The main driver to issue cryptocurrencies is the absence of heavy regulations or the clear intent to bypass them. Very recently for instance, the Venezuelan government, in an admitted intent to escape to US financial embargo, has issued the world's first state cryptocurrency under the name of 'petro'. This state of fact creates a desire for states to control transactions in virtual currency, in particular, where money laundering and terrorism financing are major international justified concerns. Naturally, other legal interesting legal implications remain to be addressed concerning the ownership rights of virtual currencies and blockchain systems, the applicable laws governing smart contracts, liability matters, dispute settlement mechanisms and taxation of generated transactions and profits. Alike US and EU regulators, the UAE is spending immense energy, talents and resources in order to address the reality of virtual currencies whilst defining a common regulatory framework. Virtual currency is not likely to replace fiat currency. It is unlikely that it will remain totally unregulated even if, unlike other technologies, their raison d'être is to operate outside the scope of a regulatory framework. The European Securities and Markets Authority's president, Steven Maijoor, has warned investors in cryptocurrencies indicating that they should be prepared to lose all their investment. The Bundesbank is calling for a worldwide unified regulations and France's Finance Ministry has called the G20 to address this gap.